Each year sign vendors are asked to participate in RFP’s for current and/or prospective clients. This process can range from basic pricing submission to a more extensive qu estionnaire based format. While understanding the importance placed on the overall cost of the signage package, there is the old phrase that “a bargain isn’t always a bargain”. In order to maximize the results of this process, consider these RFP Questions. those references is essential. 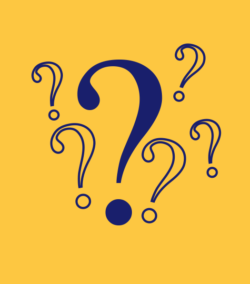 Specific questions for vendor references regarding service, reliability, quality, proactive communication and an ability to meet demanding schedules should be discussed. It is commonly thought that companies will only use a reference of a client that they know will give a glowing review. However, how a company handles a challenging situation and retains a client speaks volumes to their capabilities. There will always be that project that has an undesirable event that could potentially put the project at risk, having the ability to manage those events is more often a testament to a company’s abilities. Project Management in the Sign Industry should be considered the most impactful component to a successful project and vendor partnership. The tools and processes that a project management team consistently utilizes on every project allow the client to focus on higher level business while their project management team provides proactive communication via weekly status reports and periodic coordination calls. If you find yourself initiating communication for updates on projects, you are not receiving exceptional service from your signage partner. There are costs associated with the time it takes to process outbound communication and internal questions from other departments within your organization. 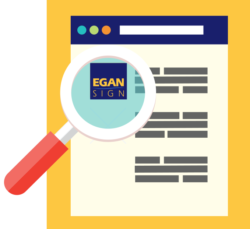 Read more about Egan Sign and our successful process here. Comparing pricing on signs should be easy, right? With a detailed sign specification, you would assume that everyone is pricing the exact same sign. There are a few details that can separate the vendors on pricing. If your sign specification does not detail the LED or vinyl manufacturer, you could receive a product that you think is equal but is not. The quality to which a sign illuminates can vary across LED products. The quantity and quality of an LED is an important detail. Manufacturer Material Specifications are critical to the quality of a sign and inferior products may look like a value but over time need more maintenance. Vinyl and paint fading can alter the look of your branded logo. 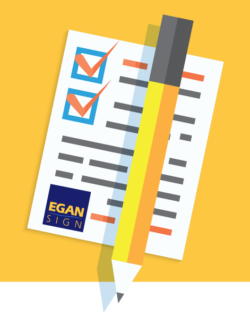 Egan Sign recommends specific questions on fabrication materials and practices be noted. In addition, Egan Sign can provide Design Control Documentation with such specifications. The Buck Stops Here… or does it? The ongoing costs of a sign continue after installation. When choosing a sign vendor through an RFP process you should consider the inevitable maintenance cost of that sign. Does your sign vendor have a clear warranty on product and service? How do they handle the maintenance and warranty requests? Are you going to spend additional time and resources on your part to manage this issue? Egan Sign has a national network of Certified Installers totaling over 1500. We are committed to providing long term service and solutions to our valued clients. Our clients know that you cannot put a price tag on this commitment. There are pros and cons with the RFP process. You may discover new partners that add value to your process. You may capitalize on savings. You may have an opportunity to evaluate your current processes and vendors. The downside is the amount of time you need to allow to execute the RFP. Find out more about Sign Management and the benefits to partnering with a Sign Management firm here. 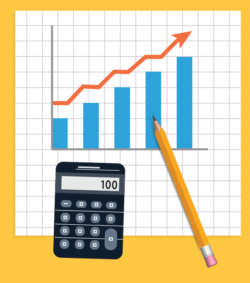 Given this time and cost to execute, developing the RFP Questions to encompass more than just a product price comparison will allow you to truly attain the most value from the process. If you are looking for a better solution to your next RFP process and would like to hear more about Egan Sign and our expertise and value that we bring to our clients, contact us and take the next step to improving your vendor partner selection process.